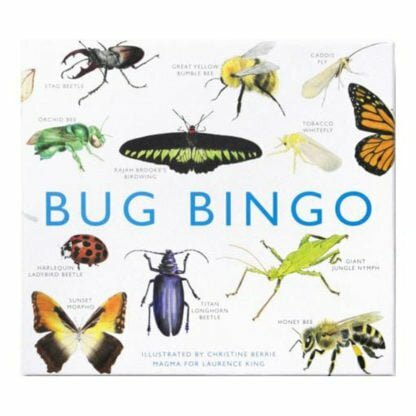 Bug Bingo features 64 species of insect from around the world with top quality illustration and details. The set comes with a book describing the different insects and 12 different player cards so that the whole family can join in. 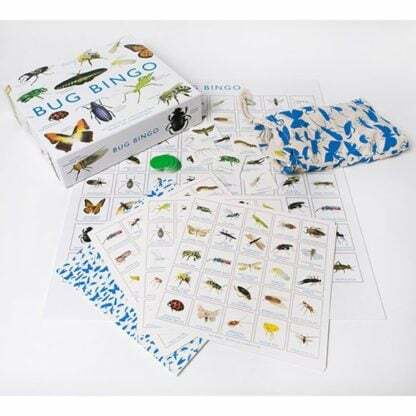 A perfect family game that will be played over and over again. We love this design and the game is excellent. 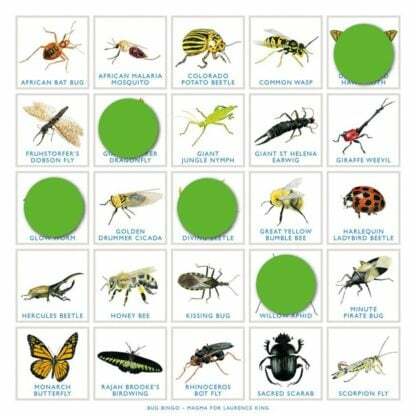 Great to have a toy of such good quality – everything has been really well put together and the whole family will enjoy it.